Why take on a Travel Therapy Assignment in Florida? Home » Allied Travel Jobs » Why take on a Travel Therapy Assignment in Florida? Just picture it now. You’ve got a fruity drink in one hand, a good book in the other, and you can feel the sun hitting your face. You might be on a beach somewhere, or simply lounging by the pool in your temporary housing unit. 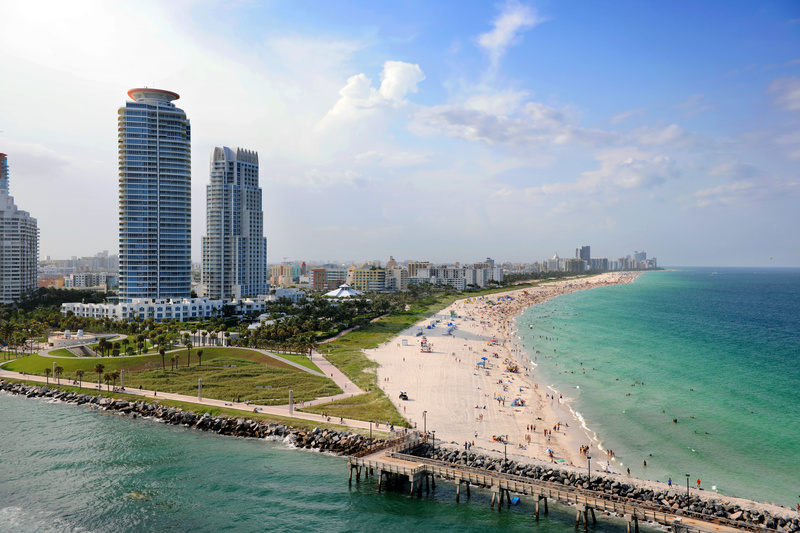 It’s no surprise that Florida is one of the ideal destinations for travel healthcare workers. With stellar pay, gorgeous scenery, and no shortage of work, a travel therapy assignment in Florida might be exactly what you’re looking for. This sunshine state is probably best known for its gorgeous beaches and exciting cities. Below are just a few of the many reasons why you should consider a travel therapy assignment in Florida. This sunshine state is probably best known for its gorgeous beaches and exciting cities. Miami nightlife is filled with plenty of exciting adventures. Key West offers crystal clear waters for swimming and snorkeling when you’re not gaining some well-paid experience in your practice. If you prefer wildlife, the Everglades offers an abundance of animals and plants that are unique to the state and region to see during your downtime. Maybe you’d like to revisit your youth at Disney World or Universal Park. Florida’s year-round coastal climate means outdoor activities galore. Don’t forget about the weather! With warm temperatures throughout the year, you’ll get to soak up some sun even during those winter months. Relax, sink your teeth into a freshly picked orange, and come experience coastal life when you take on a travel therapy assignment in Florida. One of the best reasons to take a travel therapy assignment in Florida is the amount of job security you’ll have. This is mainly because of two reasons. The first reason is that there’s currently a healthcare shortage. This means that we simply don’t have enough workers in the industry to keep up with the treatment of all the patients we have. The second reason is that the population is rapidly aging. With the average age of U.S. resident continuing to rise, this means that we have more and more citizens who are in need of treatment as they grow older. Florida is also an ideal destination for older adults, and many will opt to retire there. This means that you’ll have no shortage of patients that will need proper health care. Job security is something almost everyone thinks about, and so should you! A travel therapy assignment in Florida will provide the amount of job security that you desire. We can’t forget about the variety of benefits that a travel assignment in Florida has to offer as well. Whether it’s temporary housing right by the beach that has been paid for by the agency, or flexible hours that will give you the chance to soak up some sun, there are a ton of awesome perks to take advantage of. Some agencies will even cover the traveling expenses so you don’t have to worry about making the transition into your new assignment. Make sure to ask about the various job benefits available before you embark on your new journey. We here at AlliedTravelCareers see literally thousands of applications every year for travel therapy assignments in Florida. One of the best perks of landing a travel therapy assignment in Florida is the variety of assignments available. Whether you’re out in the sunshine working a patient through a physical therapy routine or counseling families as a licensed clinical social worker, there are plenty of careers to consider when you head to the sunshine state. Watch this short video on what else makes this amazing state the perfect destination for a travel therapy job. We have a ton of careers in Florida, so make sure you’re looking at the thousands of assignments we have to offer! If you have any questions, feel free to comment below!